The overexpression of protein using genetically engineered prokaryotic or eukaryotic cells remains the most efficient way to produce isotope-enriched protein suitable for NMR analysis. Among prokaryotic expression systems, the use of the E. coliBL21(DE3) strain is by far the most popular and cost efficient. For some proteins, such as membrane proteins, overexpression in E. coli results in the recombinant protein being deposited into inclusion bodies in nonsoluble forms, which then requires refolding of the protein using detergents or lipids to gain a biochemically active form. To improve the probability of obtaining properly folded protein without the need for refolding, eukaryotic expression systems are used because these cell types contain more complex molecule machinery (e.g., chaperones) to aid in the folding proteins during expression. 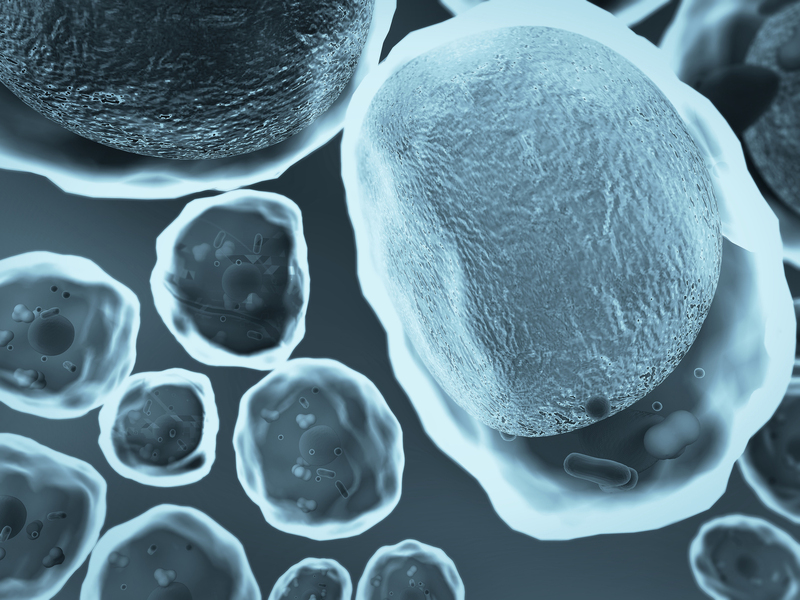 The most popular eukaryotic expression systems employ either yeast, insect and mammalian cells. Uniform and most types of selective labeling are possible in all cell types. Regardless of the method, proteins or complexes greater than ~25 kDa in size typically require deuterium enrichment in order to simplify spectra and reduce the deleterious effects of line-broadening associated with 1H dipolar coupling. Therefore, minimal media used to express such proteins must be formulated using D2O. For the investigations of large proteins or complexes, uniformly deuterated glucose as the carbon source is required. Please search our catalogue for any products you require and please don’t hesitate to contact us with any questions of if you just wish to discuss. Below are a few FAQS and a selection of application notes written by users to give additional insight. All biomolecular NMR products and many of the application notes can also be found in our current Stable Isotopes for Structural Biomolecular NMR Catalogue. 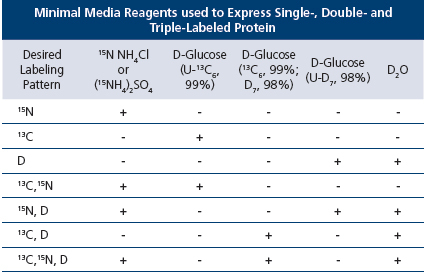 How do I know which minimal media reagents to use to make a protein of a specific uniform labeling pattern? What algal strain is used to create BioExpress® 1000? What algal strain is used to create Celltone® Powder and Celtone® Complete media? What algal strain is the whole cells product?